CHECK THIS National 25 info booklet!!!! My good friend Nadia aka CleoPOMPOM is entered in the National 25 she send me this great email and picture of the stuff she has been sent………….. check it out. 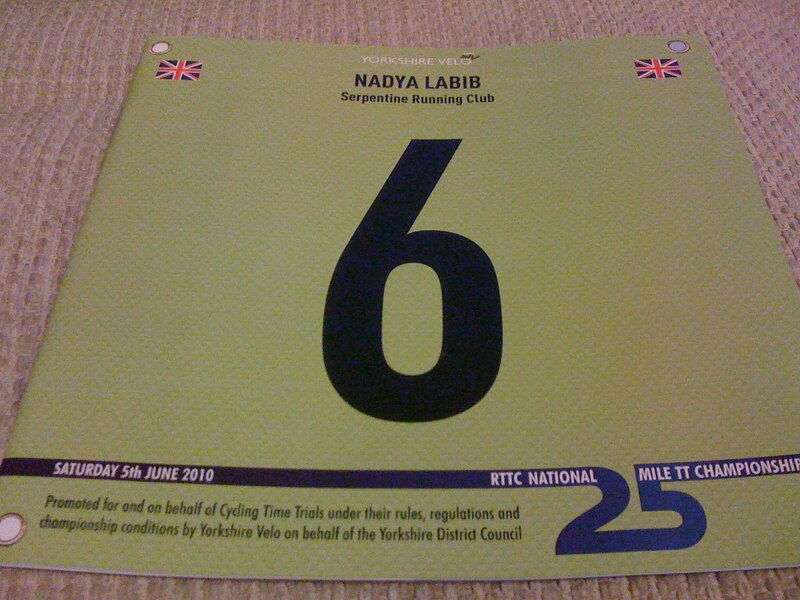 Here’s the pic of the National 25 info booklet. The super-cool thing is that each one for 250+ riders has been personalised. The front cover has my name, club and start number on it…in fact it’s designed to look like the actual bib number I’ll use in the race. Very creative and such a nice touch. Barry Roubaix is one of the organisers from Yorkshire Velo and this, combined with the quality and quantity of information actually in the booklet, makes me feel certain it’s going to be a great event. Some say that time trials and their organisers are stuck in the past, but this proves that at least some are making best use of modern ways!